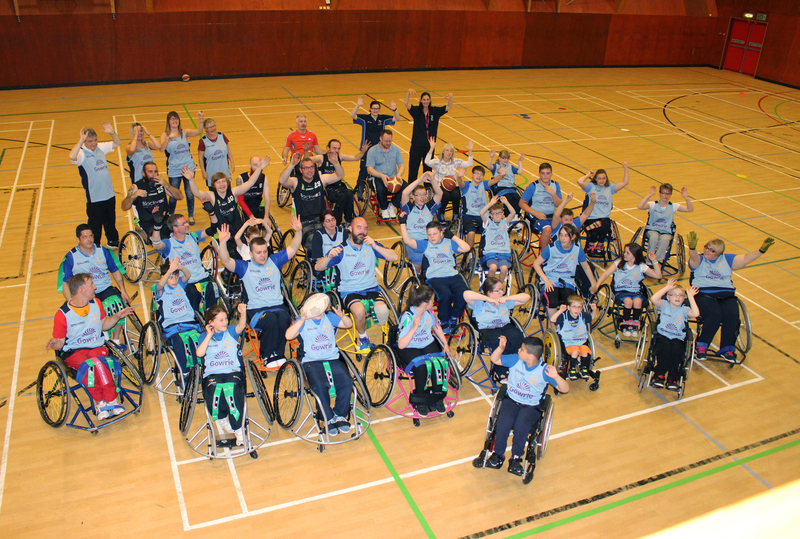 Staff from a leading housing and care provider are licking their wounds after being put through their sporting paces by two of Scotland’s top wheelchair basketball teams. Blackwood Housing and Care representatives were trained by Lothian Phoenix – for whom they are the official sponsor – and Dundee Dragons, as part of a four hour event showcasing the various wheelchair sporting opportunities available to people across Scotland. Several employees from the innovative firm took part in the event alongside Gowrie Care, with both care providers trying their hand at wheelchair basketball, rugby and badminton, before splitting into teams and going head to head for a friendly match. Mark Thompson, Administration Officer for Blackwood, took part in the activities on offer and is now counting the cuts and bruises after finding out first-hand how tough wheelchair sports can be. Mark said: “I tried both wheelchair basketball and wheelchair rugby, which were really good fun and everyone was very patient and took the time out to introduce the beginners to the sport. “Both sports are definitely very hard work for those who aren’t used to them. I cut my thumb on the wheel at one point and my chest was aching for almost three days after! Jenny Gardner, Regional Manager (East) for Blackwood, believes events such as this are especially effective in raising awareness of the wide range of sporting pursuits that are on offer in Scotland for those with disabilities. Jenny said: “The training day was great fun and had a fantastic turnout; everyone from Blackwood and Gowrie care really got stuck in and gave it their all – though it wasn’t easy. “The players from both Lothian Phoenix and Dundee Dragons are incredibly talented – the level of skill that was on display was just unbelievable. “What always strikes me with this kind of event is that it really opens your eyes to how liberating these sports can be; the players refuse to let their disabilities be limiting and just get out there and really enjoy it. Tina Gordon, Coach of Lothian Phoenix, said: “The day was such good fun and it was great to get to know some more of the Blackwood team and give them a taster of what wheelchair basketball and rugby are like.